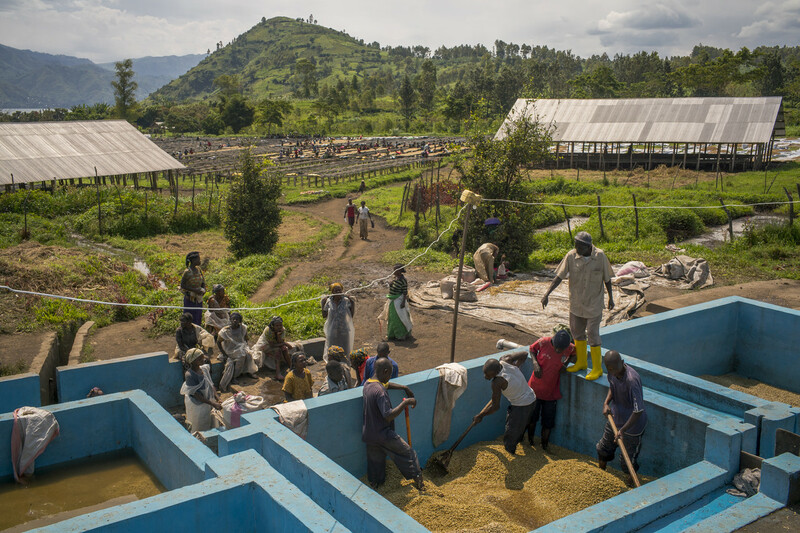 Coffee beans are laid out to dry at a washing station in Congo. BUKAVU, Democratic Republic of Congo—A dozen artisanal coffee aficionados from around the world hovered their noses above cups of steaming grounds and inhaled deeply. Then they tasted the coffee, swishing or chewing it, spit out the leftovers and used calculators on their smartphones to tally a final score for each sample of beans. “I thought this was so great. It was so fleshy,” head judge Beth Ann Caspersen, who lives in Rhode Island, said about the highest-rated brew in one round of the competition, limited to coffee grown in this central African nation. It was easy to forget how Kalashnikov-wielding guards milled around outside while clapped-out sedans swerved around gaping potholes. 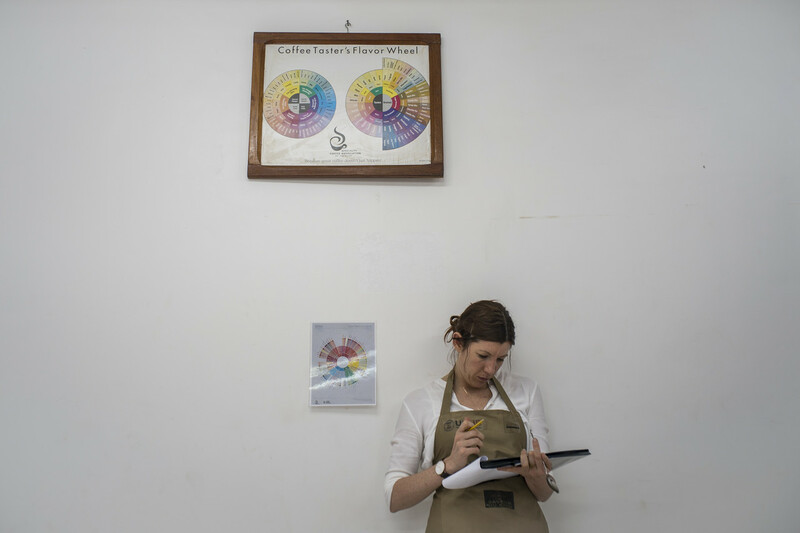 Congo is one of the last frontiers in a global scramble for the world’s best-tasting coffee. The rise in demand for specialty coffee, which accounts for one of every two cups sold in the U.S., has encouraged exporters, roasters and retailers to go places where the potential is huge—and so are the risks. 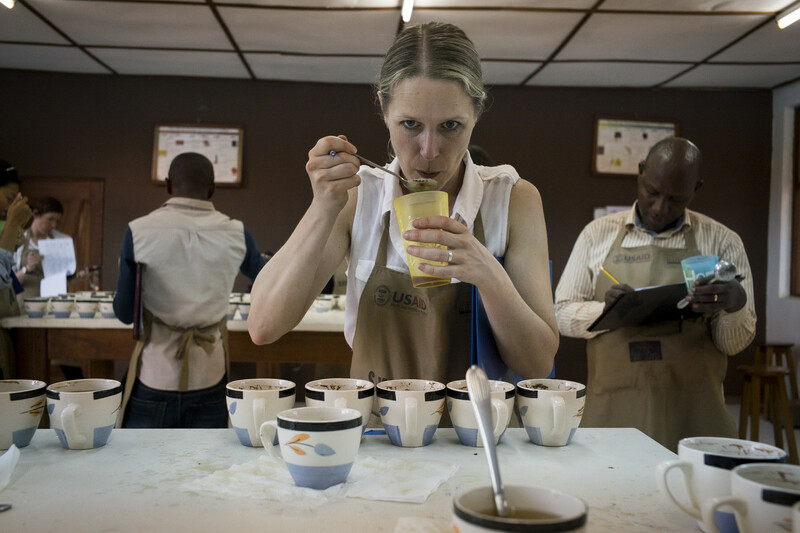 Beth Ann Caspersen judges coffee samples at a competition in Bukavu, Congo, in May. Congo’s best coffee beans regularly fetch a premium wholesale price. 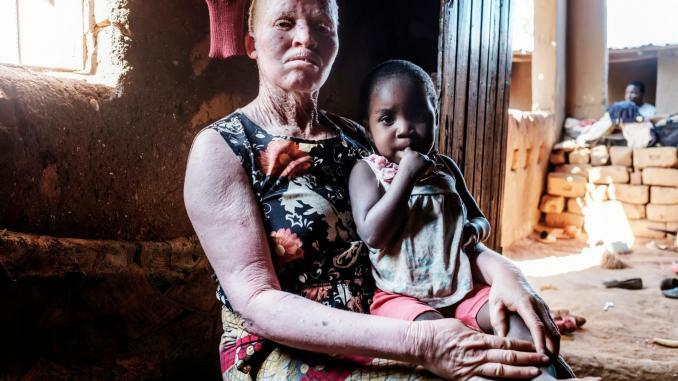 The jungle-clad, coffee-rich provinces of eastern Congo are home to militants still locked in a war that has claimed more than five million lives in the past 20 years. The nation’s fragile stability has been threatened anew by deadly clashes over the possibility that President Joseph Kabila will extend his 15-year rule by delaying until 2018 elections that had been scheduled for November. 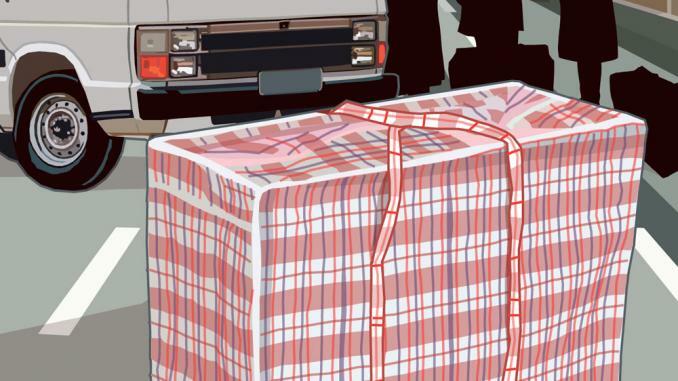 The many challenges of doing business in Congo include death threats, kidnapping and extortion. 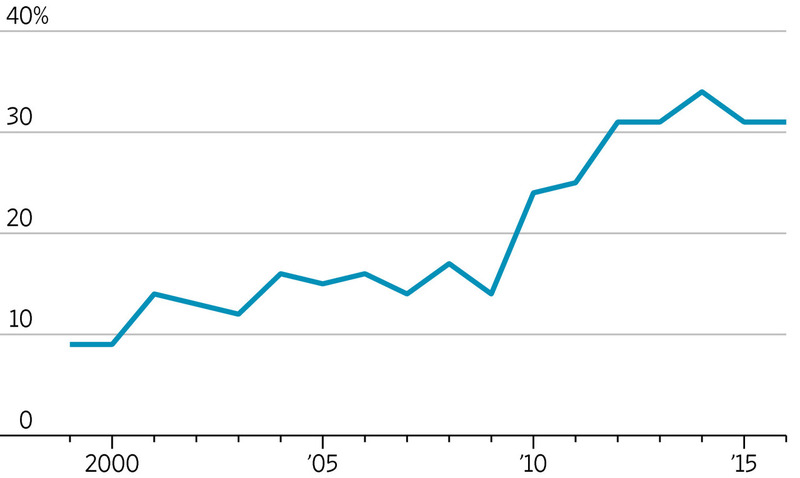 Government officials often concoct new taxes on the spot or forge documents to demand more money than what is owed. Last year, at least 175 foreigners and Congolese, many working for aid organizations, were abducted and held for ransom, according to Human Rights Watch. Most of the kidnappings happened in areas near where specialty coffee is grown, though no Western coffee prospectors have been abducted. They usually travel with people who are trusted to know the lay of the land and keep the local military general on speed dial. “I just talked with my team 15 minutes ago, and in Butembo, there is gunfire,” said Yves-Pascal Suter, a manager in the Swiss office of Schluter SA, a coffee trader specializing in African beans. 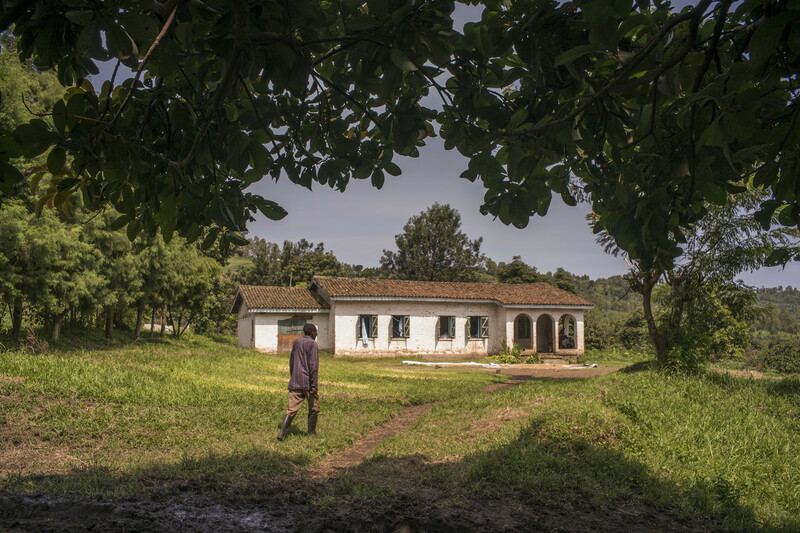 He visits eastern Congo often and tries to troubleshoot for a 50-person local affiliate office that works with 2,000 coffee farmers near Butembo, a city in the province of North Kivu. In August, more than 60 people were hacked to death with machetes about 35 miles from Schluter’s local office. “When do we say: ‘Stop working,’ and when do we decide it’s a normal risk?” said Mr. Suter. 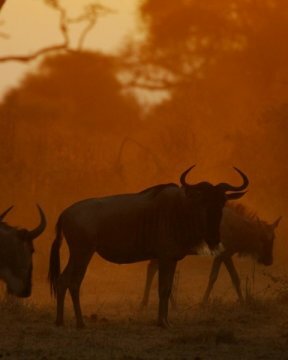 Despite the danger, Congo is attracting some of the biggest names in coffee. Starbucks Corp. , based in Seattle, is investing $1 million over three years through its foundation. 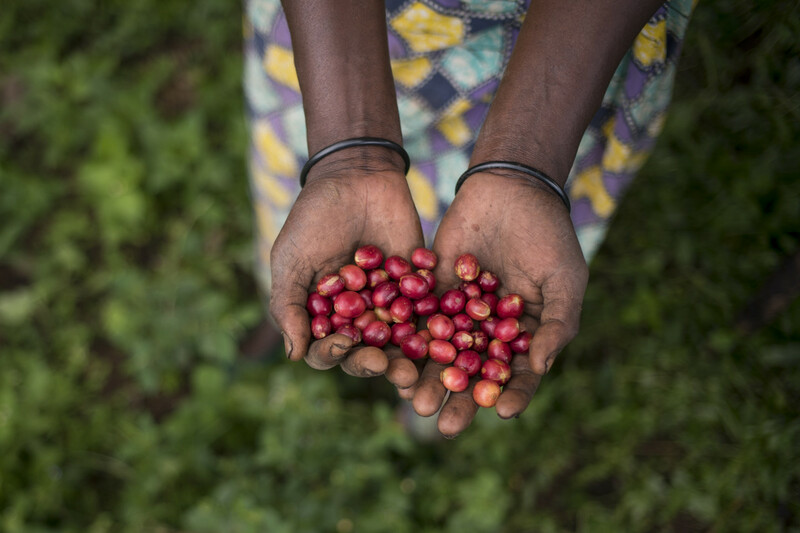 In March, Starbucks sold its first single-origin Congolese coffee online and at 1,500 stores in the U.S. and Canada. 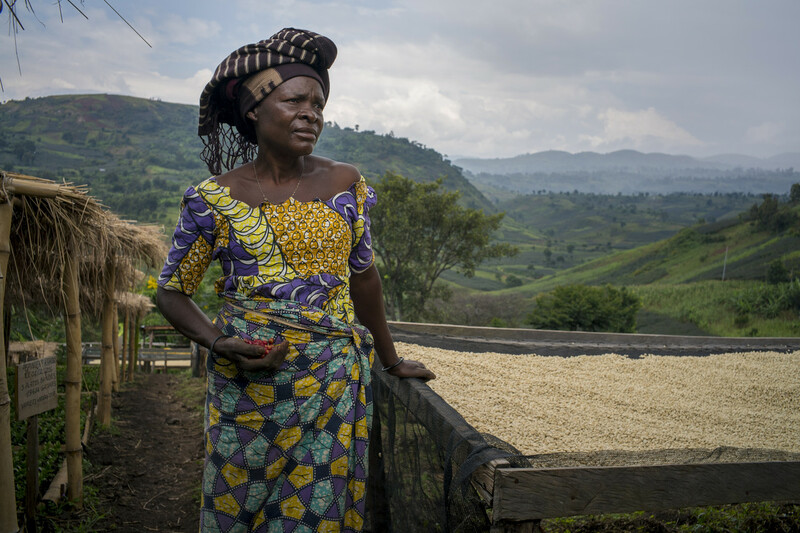 Beatrice M’Nyabahara is part of a coffee growers’ group in the South Kivu province. 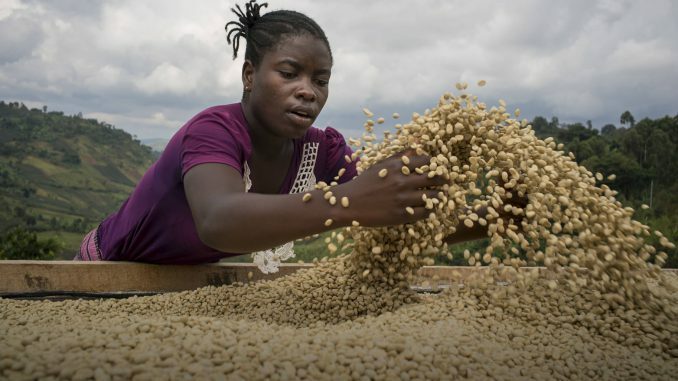 “We’re always looking for new or interesting places that might have a supply of high-quality arabica coffee,” said Craig Russell, executive vice president of global coffee at Starbucks, who has been to Congo twice in two years. Small coffee roasters across the U.S. and Europe are forming partnerships with middlemen in Congo who can help open doors with small-scale farmers. Specialty coffee is a fast-growing segment of the approximately $175 billion-a-year world-wide coffee market. Specialty coffee is made from the highest-quality arabica beans, sells at a premium and has gone from the fringe to mainstream. In the U.S., 31% of adults drink specialty coffee every day, up from 16% in 2006, the National Coffee Association trade group estimates. The popularity of specialty coffee, made from the highest-quality beans, has surged as consumers seek new brews and production rises in countries such as Congo. Congo’s specialty-coffee production has surged to as much as 960 tons a year from almost nothing in 2008, according to the Eastern Congo Initiative, a nonprofit group that focuses on rejuvenating local agriculture. The North Kivu and South Kivu provinces have 94 coffee-washing stations, up from seven about five years ago, according to the Université Chrétienne Bilingue du Congo. Washing stations are crucial to the specialty-coffee infrastructure because they enable farmers to separate coffee seeds from the fruit that surrounds them. The crop is then washed, fermented and dried to retain its premium value. 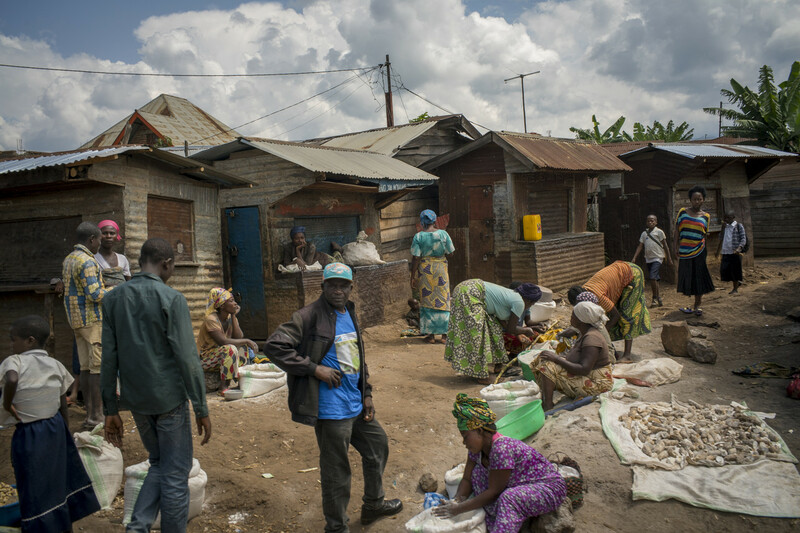 A market in Kamamba, Congo. 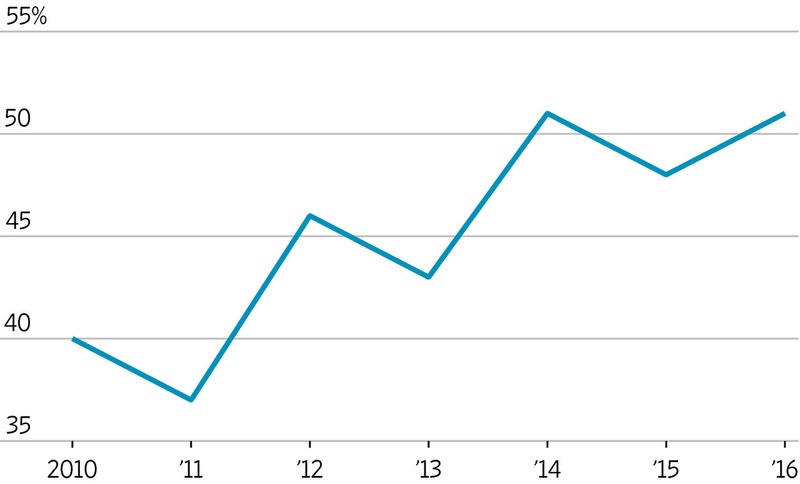 The rise of specialty coffee is boosting incomes for some farmers. Although the Congolese government has no official figures on specialty-coffee output, interviews with farmers suggest some incomes are rising. Foreign-based roasters are spending millions of dollars to pool farmers together, teach them best practices and finance next season’s crop. “When anyone is sick, I can pay for the hospital,” said Mingingo Rwaboga, 45 years old, who has a wife and 12 children. 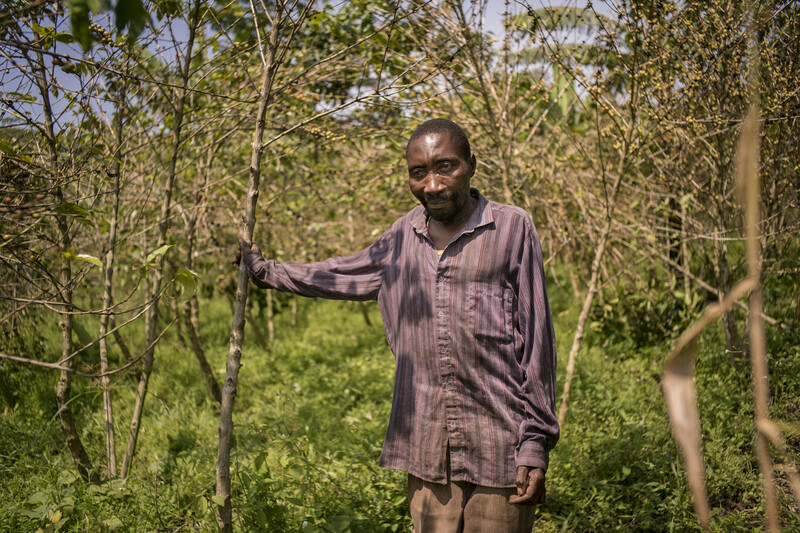 He started planting coffee trees in 2008 after his banana trees began to die from disease. Chris Treter, director and co-founder of Higher Grounds Trading Co., a specialty coffee roaster in Traverse City, Mich., has made about 10 coffee-bean-hunting trips to Congo during the last three years, investing about $450,000 through Higher Grounds and a related nonprofit called On the Ground. He evangelizes about the possibilities even though a local official and partner was found dead last year about a week before a coffee-tasting event for international buyers that Mr. Treter was scrambling to organize. Local residents assume the official was poisoned, but police have suggested he died from natural causes, such as a heart attack, Mr. Treter said. “For me, it’s the Wild West of specialty coffee and the last bastion of specialty coffee,” Mr. Treter said. 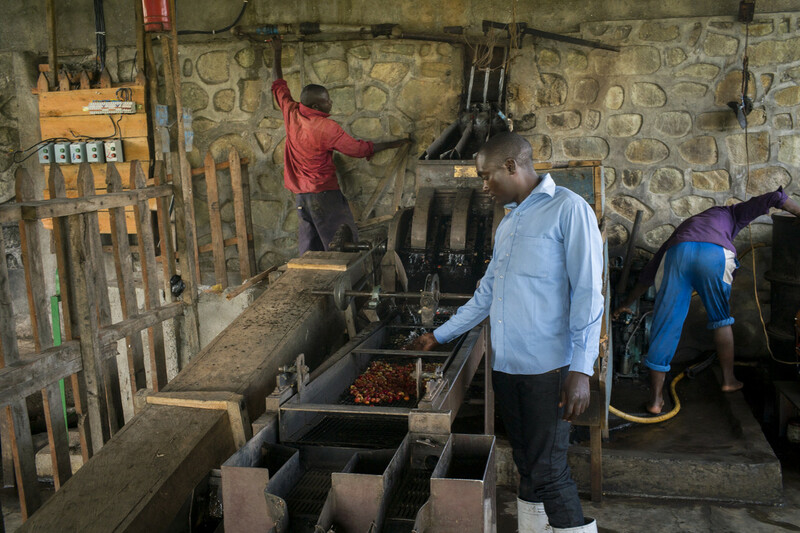 His coffee is sold at Whole Foods Market Inc. and the Fresh Market Inc.
Jonathan Robinson, managing director of South African coffee roaster Bean There Coffee Co. heard just before his first trip to Congo in 2013 that a business partner had gotten death threats from a former local employee. As a precaution, Mr. Robinson packed in his luggage a door stopper to wedge under his hotel-room door, but the luggage didn’t arrive. Mr. Robinson was undeterred. About 6% of the company’s sales now are Congolese coffee brews, up from zero before his first trip to Congo. 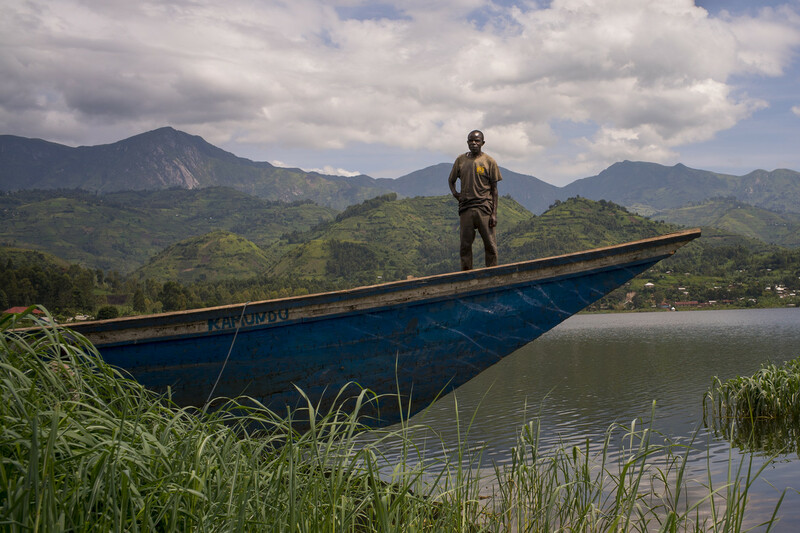 A boat docked on Lake Kivu in Minova, Congo, near a coffee-growing cooperative. 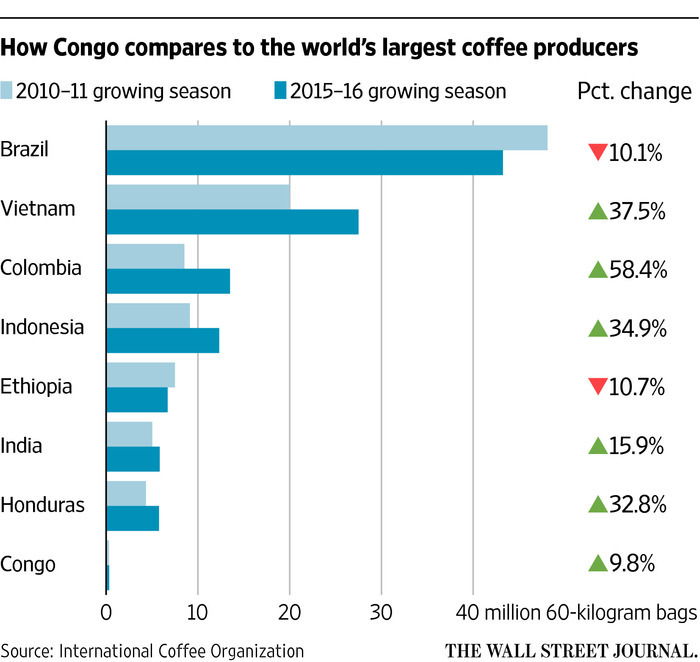 Despite the interest, Congo’s overall coffee production has been shrinking for decades. Production in the 2015-16 growing season totaled 335,000 60-kilogram bags, down from 1.6 million in 1990-91, according to the International Coffee Organization. The world’s No. 1 coffee producer, Brazil, churned out 43.2 million bags in 2015-16. African coffee, with just 12% of the global market, is among the most sought-after and is often used to add flavor to blends from multiple origins that would otherwise be one-noted or bland. Arabica coffee is more than half of Congo’s output, up from about 20% a decade ago, according to industry estimates. “If there is really an untapped potential supplier of great coffee in the world, this is it,” said Ben Corey-Moran, director of coffee supply at Fair Trade USA, which certifies Fair Trade products in the U.S. Specialty coffee must be tasted by a coffee sommelier in a ritual called cupping, which determines quality on a point scale up to 100, as defined by the Specialty Coffee Association of America. Beans must earn a score above 80 to qualify for specialty status. 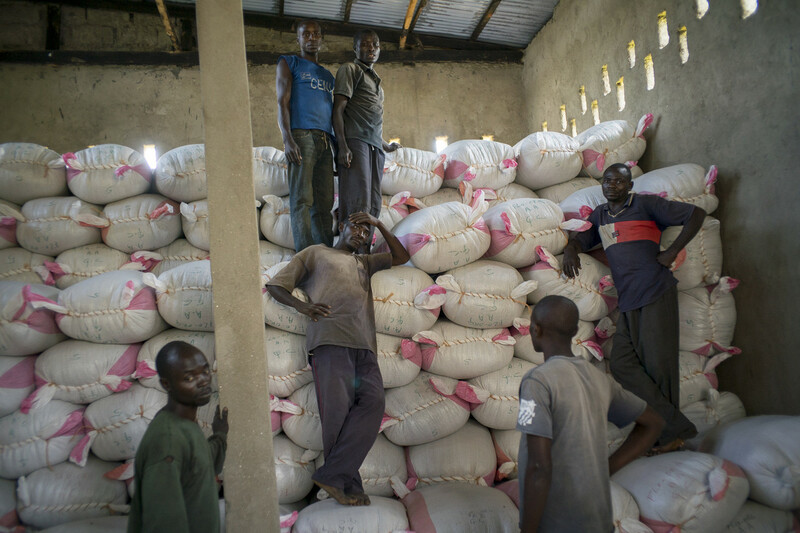 Congo’s best beans regularly get at least an 85 and fetch a wholesale price of about $3 a pound, about double the price on the ICE Futures U.S. exchange in New York. A tasting competition in May assessed the quality of Congolese coffee. Thousands of Congolese coffee growers see the chance to return to a level of prosperity they last had during the early rule of dictator Mobutu Sese Seko, who hosted the 1974 “Rumble in the Jungle” fight between Muhammad Ali and George Foreman. Coffee farmers in what was then known as Zaire earned enough to send their children to school, and Mr. Mobutu had close ties with the U.S., thanks to his anti-Communist stance. Mr. Mobutu was driven from power in 1997 by a rebel army led by Laurent Kabila, the father of Congo’s current president, but corruption and danger never faded from everyday life. On the main road to Minova, a town in coffee-rich South Kivu, Congolese police stop cars and make up reasons to collect bribes. 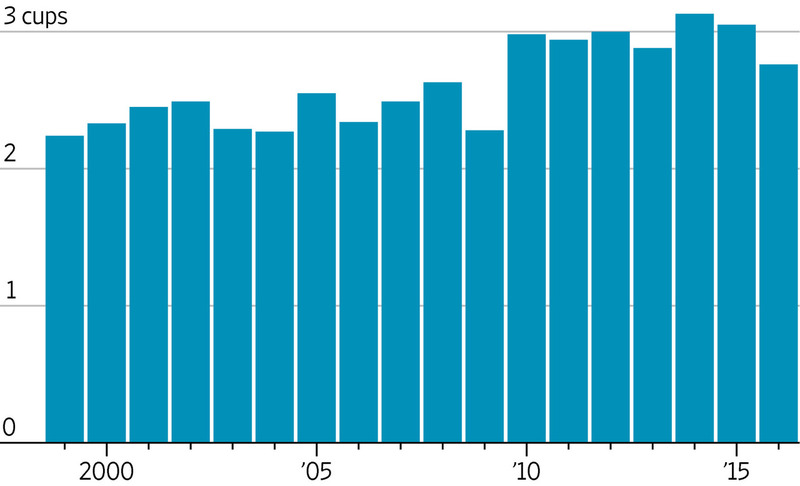 The number of coffee cooperatives in the province has nearly doubled since 2008. Coffee is the most profitable crop for farmer Mingingo Rwaboga. 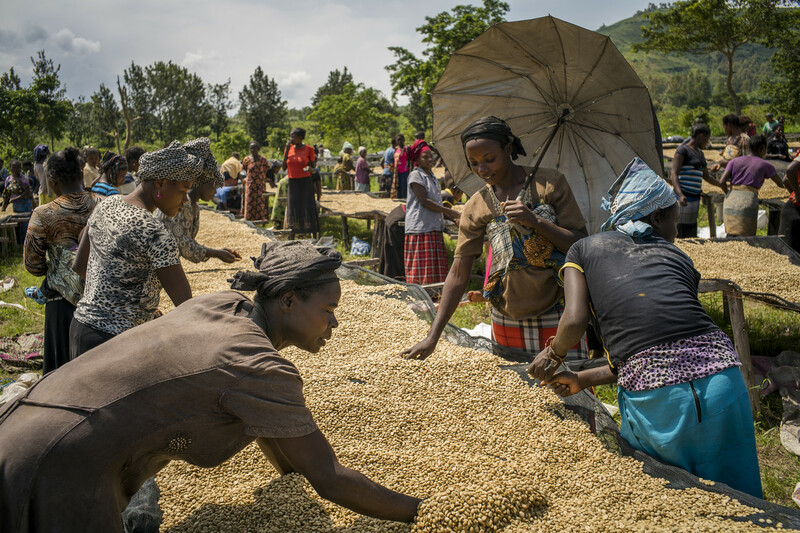 Large swaths of eastern Congo have just the right altitude, climate and soil fertility for coffee growing, but getting the crop to market is difficult. On average, it takes 45 to 50 days for a container of ready-to-export Congolese coffee to set sail from the Kenyan port of Mombasa, according to Andreas Nicolaides, chief financial officer of Coffeelac, which exports about 40% of Congo’s coffee. Coffee from neighboring Uganda reaches the port in about 10 to 15 days. In Congo, “you can get to the border and the [border guard] is having a bad day and says: ‘My computer is down,’ and you’re like: ‘There’s no computer on your desk!’ ” he said. Delays push costs higher and hurt the coffee’s quality. Coffee companies and nonprofit groups are trying to persuade the government to lower taxes on coffee exports. The taxes and bribes can add up to as much as 13% of a shipment’s value, according to the Eastern Congo Initiative. A coffee-growing cooperative called Sopacdi has nearly 8,000 members, up from 268 when it was founded in 2003. 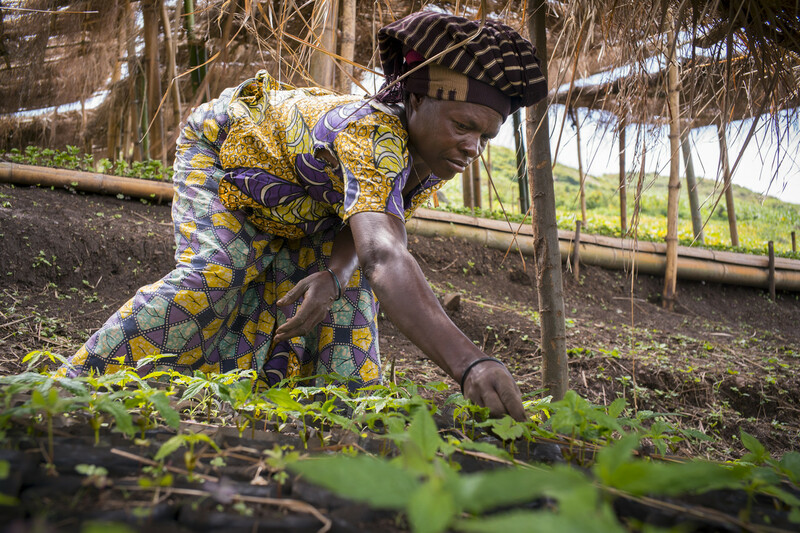 Sopacdi was the first Congolese cooperative certified as Fair Trade and organic, and farmers want the price premiums that come with harvesting certified crops. During a visit in May, Sopacdi’s coffee-washing station in Bulenga was accessible only by boat because rains made the nearby roads impassable. Women in colorful traditional clothing, many with babies strapped to their backs, labored at drying tables where the highest-quality coffee beans were spread out on chicken-wire-covered wooden frames. Inferior beans dried on tarps on the ground to be sold locally. Congolese coffee beans are washed, dried and packed for export. A water tank fed a de-pulping machine, which sputtered to life in a cloud of acrid, black smoke and separated the coffee seeds. After the drying process was finished, the coffee was packed into sacks for shipment. Each washing station costs $70,000 to $100,000, excluding drying tables. Steven Kanane Rusangwa, chairman of the four-year-old Kalehe Arabica Coffee Cooperative, said it is a struggle to keep up with demand and meet the tough quality standards required by the specialty-coffee industry. “We are growing, but we can’t keep growing if we can’t process all of the cherries from our farmers,” said Mr. Kanane, who has been approached by multinational commodities traders and small specialty roasters. 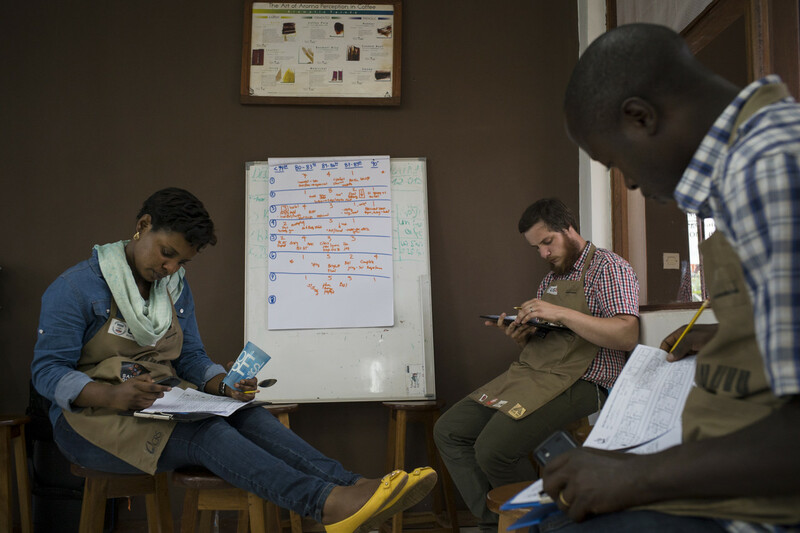 Ms. Caspersen, the head judge at the coffee cupping in May, plans to buy at least 120,000 pounds of Congolese beans this year for Equal Exchange, the importer and roaster where she works as coffee quality control manager. That is up 50% from what she planned to buy at the start of the year. This year’s cupping competition and the inaugural event in 2015 were held in a dilapidated government complex in the heart of Bukavu. When Ms. Caspersen arrived to set up last year with Mr. Treter of Higher Grounds, the building had no running water or power and was covered in dust. Organizers ran down the street with electric water kettles to a humanitarian agency. This year, five judges gave the highest-scoring coffee in one round almost 90 on the 100-point scale. “If it’s this good now, how good could it be in the future?” she said. Coffee beans dry in the sun at a washing station in Congo run by the Sopacdi cooperative.